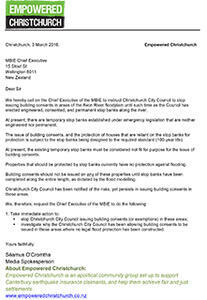 A copy of a letter from Empowered Christchurch which was sent to Gerry Brownlee, Minsiter for the Canterbury Earthquake Recovery, on 15 April 2014. The letter lodges an Official Information Act request about the remediation of land that is subject to liquefaction and flooding. 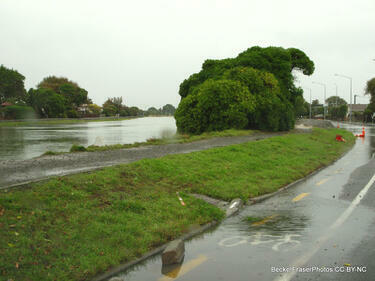 Photograph captioned by BeckerFraserPhotos, "At high tide the Avon River is flowing onto the road because the land has sunk below sea level". 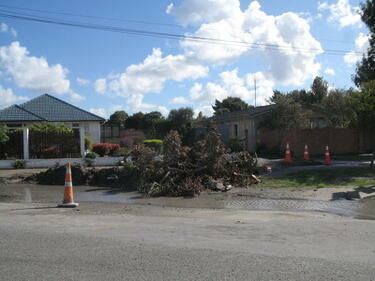 A photograph of a felled tree, liquefaction, and flooding in a residential street in Christchurch. Road cones have been placed around hazards to warn road and footpath users. A video of an interview with Rose Lennon about her property in the Flockton Basin. 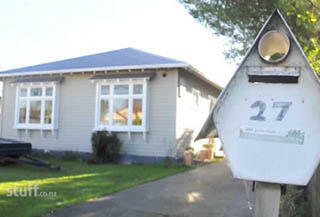 Lennon's house has been damaged by flooding in the area. 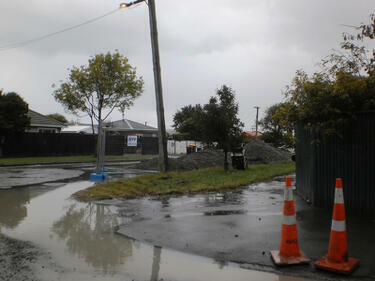 This video was part of a series of videos about residents in the flood-prone Flockton Basin. 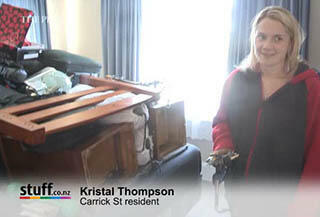 A video of an interview with Kristal and Justin Thompson, about their house on Carrick Street which was damaged by the floods. Justin talks about how the 2010 and 2011 earthquakes has caused their land to drop. Kristal also talks about their insurance scheme. 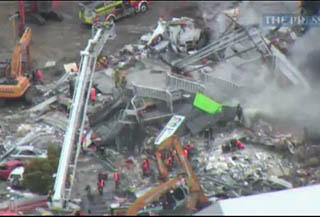 Aerial footage of Christchurch recorded the day after the 22 February 2011 earthquake. 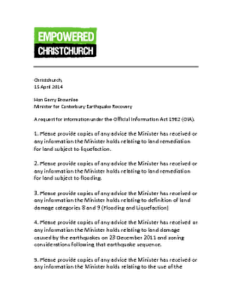 The footage shows damage to the Smith City car park, the Cathedral of the Blessed Sacrament, the CTV Building, the PGC Building, the Durham Street Methodist Church, the Lyttelton Timeball Station, the roads alongside the Avon River, and the ChristChurch Cathedral. It also shows New Zealand Army road blocks outside the hospital, crushed buses on Colombo Street, a Royal New Zealand Navy vessel in Lyttelton Harbour, rock fall on the Summit Road, collapsed cliffs in Sumner and Redcliffs, tents set up in a park, flooding in New Brighton, and liquefaction in QEII Park. A video of a car which is partially submerged in the Heathcote River. The river has burst its banks along Riverlaw Terrace. 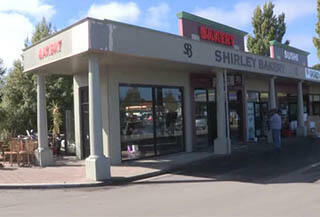 A video of an interview with Kim Evans, manager of the Shirley Bakery, about the flooding of her store. 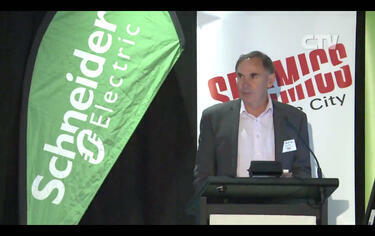 Evans describes the flood damage as being worse than the damage caused by the 2010 and 2011 Canterbury earthquakes. A photograph of members of a church group holding shovels and spades. 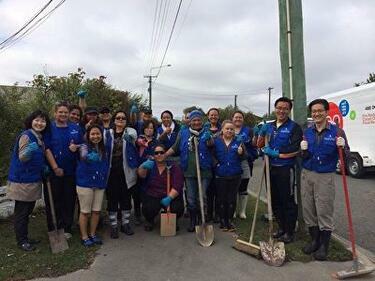 The group is volunteering their time in the Flockton Basin, a flood-prone residential area that underwent major flooding in March and April 2014. All Right? 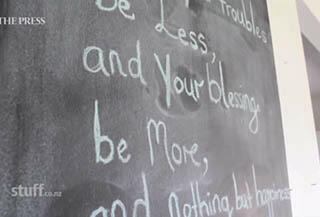 posted the photograph on their Facebook page on 7 March 2014 at 11:02am. 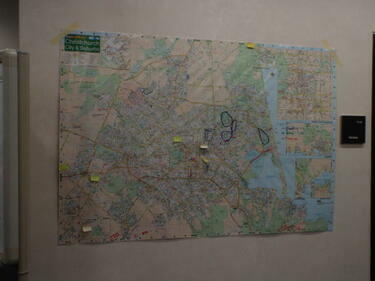 A photograph of a map at the temporary Civil Defence headquarters which was set up at the Christchurch Art Gallery after the 4 September 2010 earthquake. The map shows areas of the city that have flooded and roads that have closed. 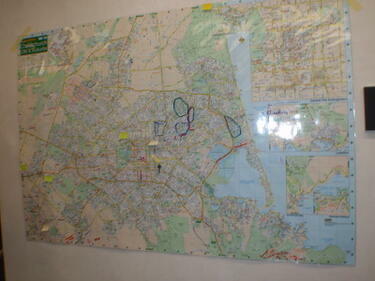 A photograph of a map of Christchurch in a temporary Civil Defence headquarters set up at the Mainland Foundation Ballpark after the 4 September 2010 earthquake. Red, green and blue markings on the map indicate where flooding, sand and closures are located. 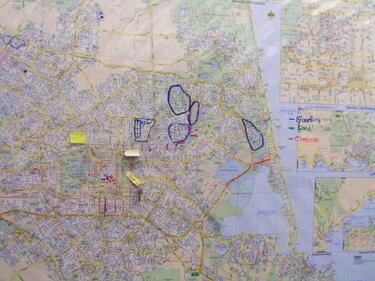 Post-it notes and a key with a tag reading, "Manchester" are attached to the map. 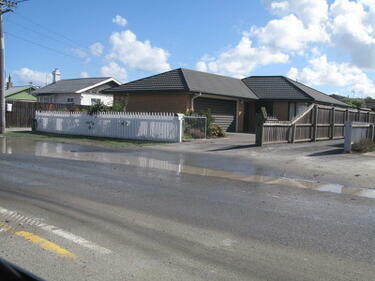 A photograph of liquefaction and flooding in a residential street in Christchurch. A photograph of piles of liquefaction on the side of Pages Road. 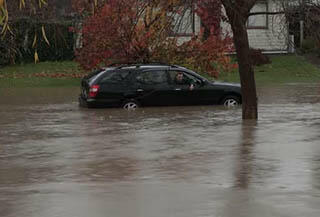 Flooding in front of a driveway can be seen. Cordon fences are propped up against a fence. 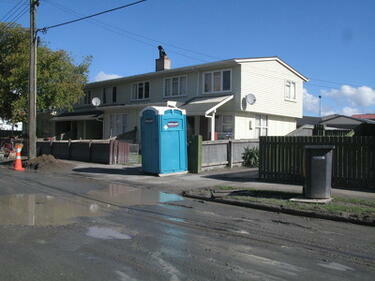 A photograph of flooding on a residential street in Christchurch. 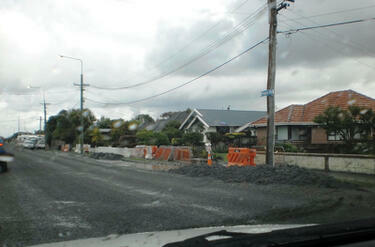 Large piles of gravel have been placed along the street with cordon fences in front of them. Road cones can be seen in the foreground. 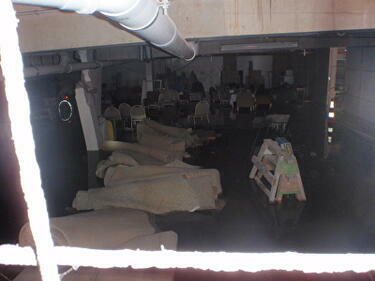 A photograph looking into the basement of the Copthorne Hotel. Rolls of carpet and chairs are sitting in a pool of water.